Benjamin Franklin once said that diligence is the mother of good luck. There’s fortune yes, but there is also persistence and effort. Each morning I wake up knowing exactly who I am working for – and it’s you. You asked, and I listened. So far this session I have authored, co-authored and supported legislation to lower your taxes, reduce Robin Hood and put more money into the classroom. I have authored legislation to protect life, secure your online privacy, and dramatically improve transparency into government spending so that we can fight waste, fraud and abuse. I have helped write a draft budget that supports our pensions while also putting more resources into securing the border. Now the real work begins – read our latest update below. 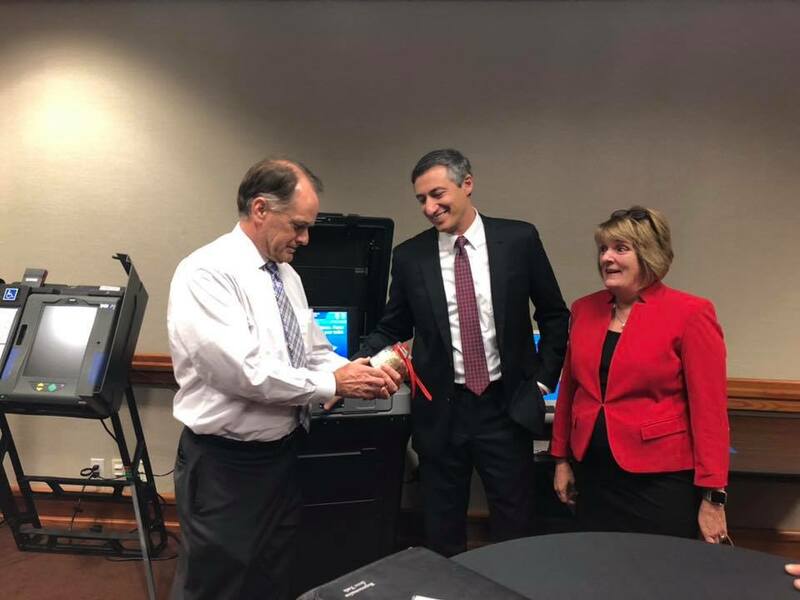 I reviewed new generation electronic voting machines, some with paper ballots, at the capitol. In this photo, we have a jar of chads. Remember those from the Bush v Gore election? A slice of history that we don’t need to repeat. I filed a budget rider which would allow the Secretary of State to provide matching funds ($158 million) to counties for upgraded and more secure voting equipment. Several bills are going through the legislative process dealing with property tax reform, recapture (Robin Hood) and other funding reforms. I filed HB 4100, my bill to abolish Robin Hood and keep more of our property tax dollars in the district. It is crucial for us to make a stand against the state’s redistribution of local property taxes, and I am proud to stand in this fight with other legislators representing property-wealthy school districts. I am optimistic that this session will result in significant reforms to school finance. I also filed HB 4139 which would allow local city councils to increase the Homestead Exemption, providing homeowners like you real tax relief. Two weeks ago my HB 569, dubbed Taxparency, was given a hearing in the House Ways & Means Committee. I am thankful to Chairman Burrows and his Committee for hearing all the positive testimony in favor of providing more transparency and disclosure of where our tax dollars are going. Speaking of luck. Many folks remember the lottery as being sold to the public as the funding source for public education – so where is it going? A few years back I served on the House Select Committee on the Lottery and Charitable Bingo. The most significant expense for the lottery program is — the winners’ jackpots. For every $1 of lottery tickets bought, 63% goes to the winners, 27% goes to public education, with the remainder going to administrative costs, retailer commissions and the Veterans Assistance Program. It is essential to keep in mind that the amount raised by the lottery is relatively small – and even with the proceeds going to education, those lottery dollars make up less than 5% of pub ed costs. The issue of foreign influence in domestic affairs has been a significant topic of analysis and conversation. Most of the focus has been on federal affairs; however, state governments are not immune from attempted foreign influence. Texas lawmakers and policymakers are, on occasion, visited by individuals representing foreign governments, including those required to register as foreign agents under U.S. law. According to the U.S. Justice Department’s website, the disclosure of required information (i.e., relationships with the foreign principal, activities, receipts, and disbursements in support of those activities) facilitates evaluation by the government and the American people of the statements and activities of such persons in light of their function as foreign agents. HB 1785, by Capriglione, has a hearing this week in state affairs and if enacted would make the information more transparent and easily accessible. 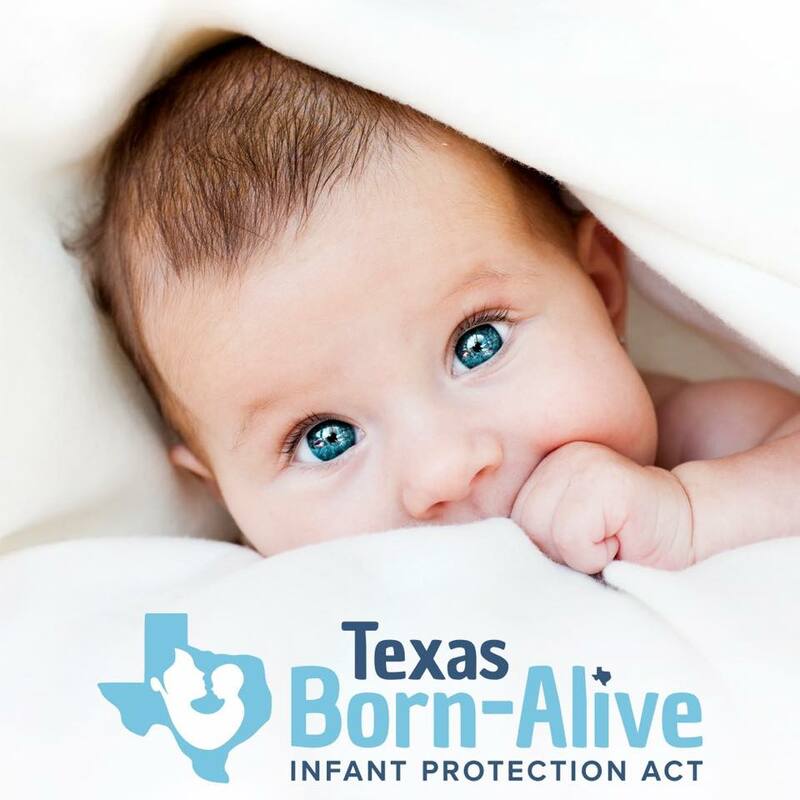 In response to some pretty horrendous late-term abortion legislation in New York and Virginia, I am proud to have co-authored the Texas Born-Alive Infant Protection Act. HB 16 would require a physician to provide medically appropriate and reasonable life-saving and life-sustaining medical care and treatment to any child born alive after an abortion. Thank you again! I would also appreciate your help in sharing this newsletter. And if you are receiving this update from a friend, please sign up here: Email Signup.